"I love to travel and learning from other cultures. Naturally, I studied International Relations: Economic Development and Spanish at Tufts University in Boston. The summer after graduating, I attended the UN Youth Summit and interned with international humanitarian organization Catholic Relief Service. I wanted to continue exploring my interest in innovative approaches to sustainable development in the Global South. I moved to Ghana to assist social enterprises on the ground that were merging business strategy with community-based solutions. I interned with the Kokrobite Institute that was creating sustainable educational materials out of recycled waste and conducting teacher training workshops for local schools. While living in Accra, I developed an interest in the vibrant West-Africa textiles and ease of creating bespoke tailored clothes. I changed projects to join an ethical fashion house called Studio One Eighty Nine, run by fellow Afro-Latina Rosario Dawson and Bottega Veneta executive Abrima Erwiah, that was supporting West African artisan communities. The start-up life pushed me to grow and take on several new responsibilities in finance and marketing. I learned how to pitch and manage photo shoots among other practical business skills. While abroad, I started a bilingual traveling blog called Tejiendo Experiences and am currently working on a new website to refine my content and share how Latin American culture still carries strong ties to Africa. I am creating a new blog to share my travel experiences around the world focusing on Latin America and Africa. I will be reflecting about living abroad and sharing the various travel tips I have learned while abroad. There are many countries that I have visited, but have not yet posted about - so there are more cuentos up my sleeve. I will also be posting about Afro-Latina and will be posting about the Afro-Latina events around town. I am also super excited to start a new job at Instagram with Facebook HQ in the San Francisco Bay Area. 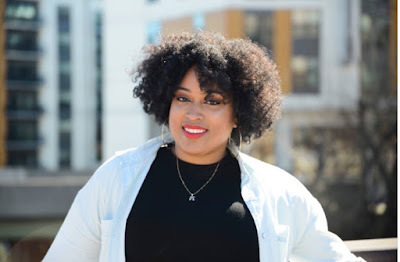 I want to continue to try to connect and create space for Afro-Latina narratives, so stay tuned!" 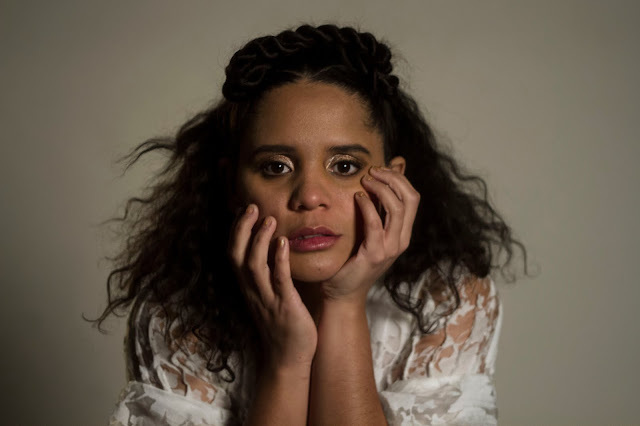 Lido Pimienta is a Toronto-based, Afro-Indigenous, of the Wayuu people in la Guajira, Colombia, interdisciplinary musician and artist-curator. She has performed, exhibited, and curated around the world since 2002, exploring the politics of gender, race, motherhood, identity and the construct of the Canadian landscape in the Latin American diaspora and vernacular. Lido’s latest LP La Papessa (2016), charts an evolution from her debut LP Color (2010), an album full of (as the title suggests) colorful landscapes and positive vibrations. The 2017 Polaris Prize-winning album, La Papessa, takes a more personal approach, describing the narrative of how Lido has found her independence as a woman and as an artist who refuses to fit pre-conceived notions of what a pop Latina artist ought to be. 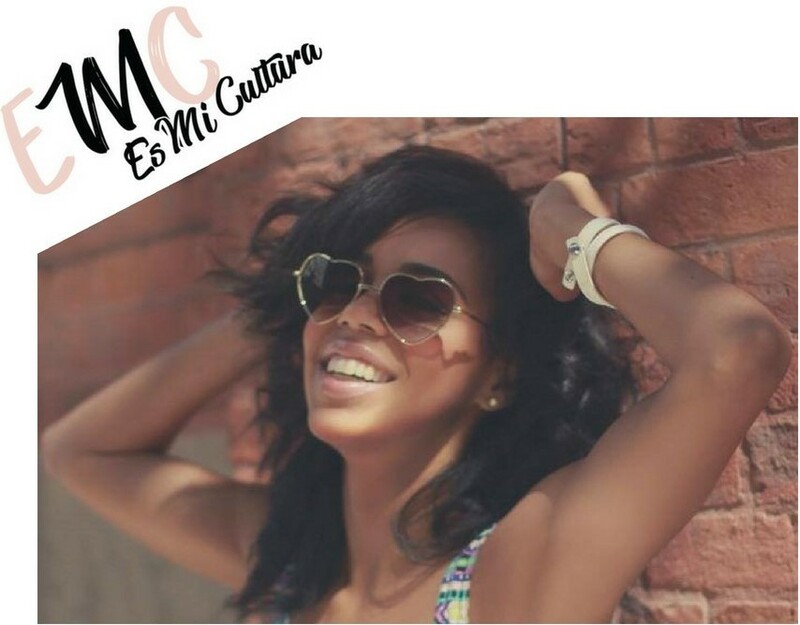 The album was written in multiple cultural and geographic settings - the desert of Indigenous Wayuu land and the northern mountains in Colombia, as well as in Canada, in both London and Toronto, Ontario - and the music, in turn, reflects these settings. The sounds on La Papessa take listeners on a musical journey from traditional Afro-Colombian percussion to global bass and darker avant-garde electronic sounds. Lido’s piercing, explosive and heartwarming voice unites the compositions, beats and harmonies, resulting in a perfect labour of love and sound that highlights the creative voice of this talented artist. As “the OG Mentor”, social entrepreneur, motivational speaker & spiritual teacher, author of Take the Limits Off Your Legacy, producer, and women’s leadership advocate– Maria I. Melendez has embraced her mission of empowering others to live a life that embraces a limitless legacy. After leaving her high-proﬁle career in the music business to pursue her purpose of empowering others to live life in purpose, give birth to their dreams and deﬁne their legacy, Maria (who has been deemed by clients and peers as your personal “Goals Girlfriend”) has proven that she is the essence of living a purpose and legacy driven life in order to inspire others to follow suit. Featured in the ESSENCE magazine, Latina.com, Heartandsoul.com and recipient of several notable accolades, she is an inﬂuential leader whose faith, zealous drive, experience, framework, story and impact are key to the leadership development in women and girls around the world. Her contemporary style of transparency, authenticity, wit, humor and positivity are key to in her message of transformation. Maria launched Embrace Her Legacy in 2012. Since then Maria has transformed the brand from a women’s network to an empowerment organization the offers an online learning center, enrichment programs, personal development courses, tailored events, and community to inspire millennial women and girls to achieve a purpose-driven legacy. 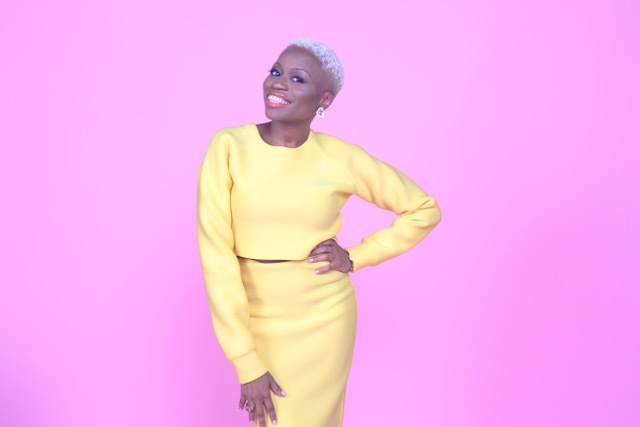 She is the creator of Embrace Her Legacy’s franchise empowerment program for young women, the Embrace Her Legacy Academy, host of the Embrace Her Legacy podcast and the curator and head instructor of Embrace Her Legacy University which is an online learning center for millennial women to grow in personal development, faith and dream birthing. Maria has recently added spiritual teacher to her list of skills as she pursues her Masters of Media Arts & Worship at the prestigious Dallas Theological Seminary. Nikki Rich, daughter of Afro-Panamanian mother and African-American father, is a entrepreneur from Hempstead, New York who currently resides in sunny Los Angeles, California. She is the founder of khoLEE Tea, a herbal tea company that promotes education and wellness through tea drinking. Nikki believes in educating one’s self about diet and overall wellness because no one knows your body better than you. The love of tea was introduced to Nikki during childhood. Her late-grandfather was Afro-Panamanian and born in a Red Tank, Panama (in the canal zone), a town that no longer exists. Many Saturday mornings started at the dining room table sipping black tea with carnation milk, reading the newspaper and listening to calypso or salsa music which was always playing in the background. Tea was the go-to remedy to aid in illness or help with digestion throughout her life. During college, after her grandfather had passed away, she found her passion for tea drinking again. Herbal tea was introduced to her and it opened up a whole new world for Nikki. She would spend the following years traveling and tasting tea around the world. 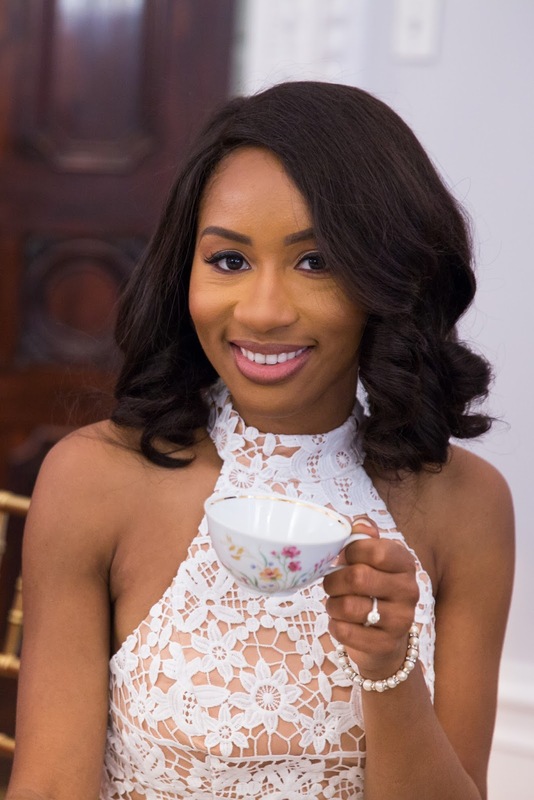 In late 2016, armed with experience and more knowledge about tea drinking, Nikki decided to launch khoLEE Tea to share the joys of tea and educate others about the many health benefits. Nikki is currently studying to become a Certified Tea Specialist and is due to complete her studies this year. "khoLEE Tea Company believes in sourcing the finest ingredients from all over the world to bring to you artisanal tea blends handcrafted in Los Angeles, California. Our herbs and herb blends are always organic when possible and we use fair trade ingredients to ensure the freshest ingredients and their producers in developing countries are provided a fair wage. khoLEE Tea Company, believes in women empowerment and makes monthly donations to women-centeredorganizations." 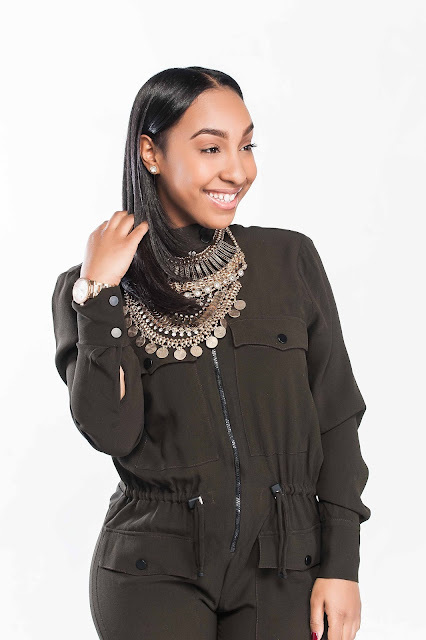 Nicole Clark is a fun, loving, a straight shooter; a New Yorker & a proud Tica. 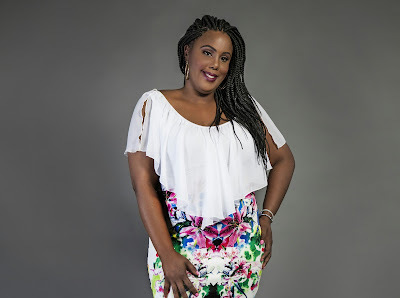 “I am a Costa Rican Afro-Latina, educated in the health sciences. I balance my professional life with being a mother of four beautiful, awesome kids. In addition, I am a dedicated daughter to my parents, both native to Puerto Limon, and I am the proud owner of Staxx Public Relations - based out of New York, where I’ve worked with media and entertainment industries. As a result of a recent relocation, I moved my events business to Washington DC, while maintaining my NYC ties. I feel a deep connection to my roots and country, as the majority of family resides in the capital of San Jose. Having a great and close relationships with my family back home in Costa Rica means everything to me. I make it a point to communicate and share every aspect of my life, via social media, with them. Michelle Lopez- Oakland, California. 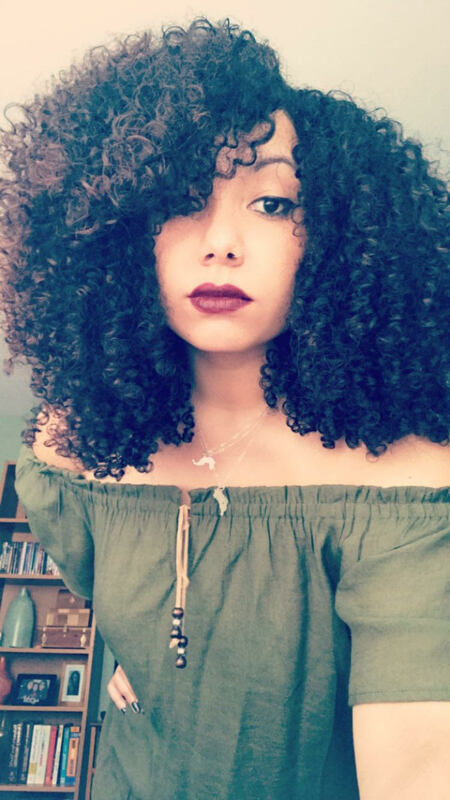 Educator, Youth Advocate, AfroLatina, Trilingual, Writer, Curly hair motivator. I am AfroBrazilian & Mexican, born and raised in Oakland. 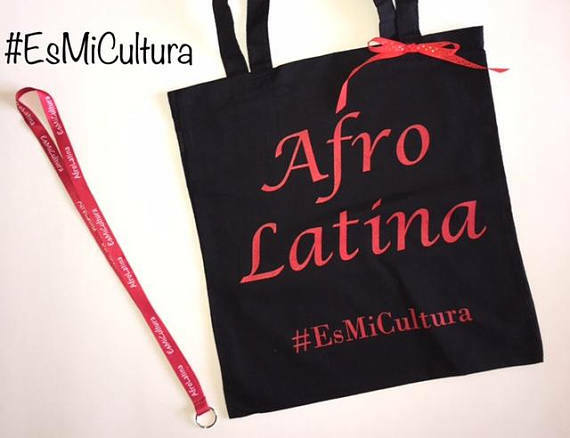 I am proud to be Afrolatina. My mother is Black Brazilian, my father Mexican with Indigenous blood. I am proud to carry my heritage; my ancestors through my nappy hair, my freckles, my curves, my skin and the languages I speak on my tongue. Con orgullo, I will always be a representation, of my ancestors history, the strength, the courage, the intelligence, the unity, the humility and the love that represent where they came from and where I come from. Michelle is the owner of Beautifully Mixed Clothing. 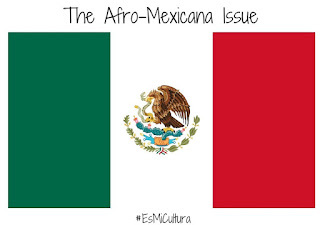 "Beautifully Mixed, is a celebration of one's personal identity and ancestry. Every single person on this planet has a unique and beautiful identity, and each one of us represents a history of diversity (ethnically & culturally). Be proud. Feel beautiful." Alexa Dolmo-Rochez is a 20-year-old proud Garifuna and Afro-Latina woman who was born in La Ceiba, Honduras. At age 14 she relocated to Houston, TX. Not able to communicate with anyone because Spanish is her first language, she had to work hard to learn English and become fluent in the language. One of her biggest accomplishments was graduating from high school early. When she left her birth place, Alexa was dropped a few grades because she didn't know English. This made her work even harder, and instead of graduating in four years she did it in three. Maya Carr is a Camden, NJ native and founder of Around The Way Girl, a non-profit organization focused on enriching the lives of young women of color in marginalized communities. Through Around The Way Girl, Maya develops unorthodox projects that provide a safe space to address identity, cultural, and societal matters. Most recently, Maya launched Around The Way Girl’s 3rd Annual Hygiene Tour in Washington, DC and is preparing to launch their new initiative in 2017. Additionally, Maya directs and produces multi-media projects that focus on sparking fruitful conversations about identity, culture, and the arts. Maya was recently awarded by BET's Bronze Lens Film Festival for her lead Directorial work with the new hit series "Cream X Coffee" (creamxcoffee.com). Maya studied radio, television, and film production at Rowan University where the Society of Professional Journalist honored her for her In-Depth Radio reporting. She took her collegiate radio experience and lively personality to the professionals at Radio One Philadelphia, under the mentorship of Dyana Williams and Q Deezy and served as a production/promotions intern. 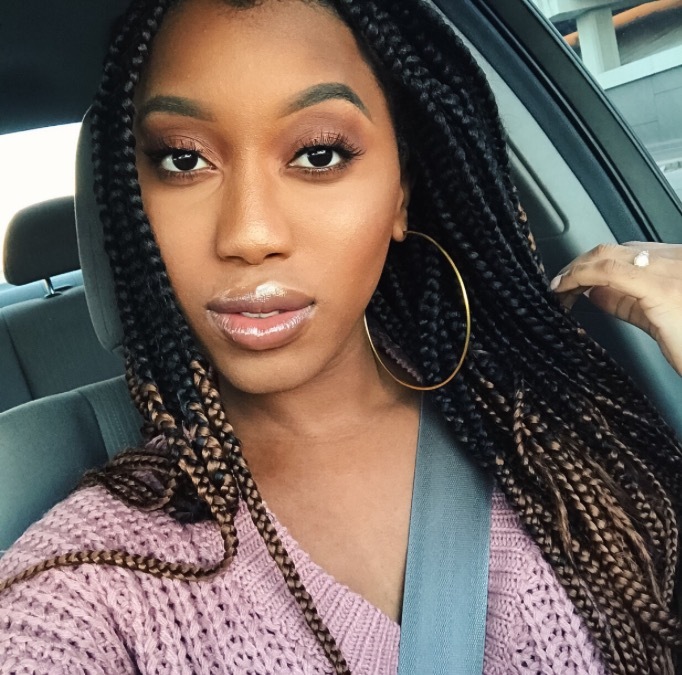 Currently, Maya is working full time in the nonprofit sector and is working on hiring new members for the Around The Way Girl leadership team. "My name is Vilma Peguero, I’m a first generation American born to Dominican parents and a native of Providence, RI. I obtained by Bachelor’s degree in Political Science at the University of Rhode Island and earned my Juris Doctor degree from Thomas M. Cooley Law School. Growing up I had to constantly prove my Latinidad. People had a difficult time accepting me as a Latina because of my hair texture, facial features, and dark skin complexion. My complex racial and ethnic identity made a lot of people uncomfortable. I was treated differently by my Latino counterparts and I was often ostracized by them because I wasn’t “Latina enough." On the flip side, my African American counterparts would make comments that I was trying to be something that I wasn’t. Regardless of what people say about me today, I know that my melanin doesn’t make me any less of a Latina because “Latino or Latinx” isn’t a race it’s an ethnicity. I’m proud to be racially black and a Latina. Hopefully Black Latina Negra Bella is able to change the narrow perceptions people have of Latinos/Latinx. And to the young girls who can relate to my struggles while growing Afro-Latina, the next time someone questions you about what it means to be an Afro-Latino, tell them it's a mixture of Brown Sugar and Sofrito!